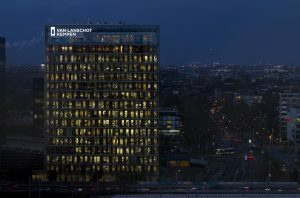 hosted by Van Lanschot Kempen at their Amsterdam offices (directions here). At the event, we will host inspiring parallel sessions with lively debates on a wide range of topics. Talks this year cover, amongst others, topics such as margin valuation adjustment, modeling recovery risk, deep and reinforcement learning for stock market trading, PDE models for pricing financial instruments, but also data analysis applied to asset management, filtering of option market data, as well as a talk dealing with the cross-currency basis. Joris Tolenaar (Transtrend) – Systematic trading and changed market dynamics. Please note that without a confirmed registration it will not be possible to enter the event. Also be aware that after 15:30 you will not be able to enter the event until the start of the networking part at 18:20.